The 2018 Mini Cooper comes in 2 Door, 4 Door and Convertible form, all of which offer fun driving manners, quirky style and premium appeal. Prices start at about $22,500, making them attainable even for budget-minded folks; but before you know it, a long list of irresistible options can drive the cost up significantly compared to mainstream subcompacts like the Honda Fit. 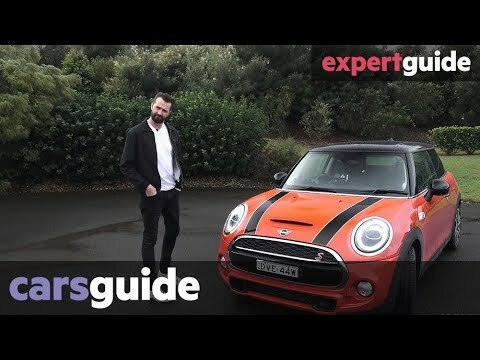 Love my volcanic orange Mini Cooper s.
I was very uneasy buying a Mini Cooper because of what I had heard about how unreliable the car is. Well I will tell you I love this car it is so much fun to drive. We wanted a manual transmission and it has not disappointed. The power behind the wheel is amazing. Since getting our mini we have taken a lot of road trips. The interior is very smooth and the gas is good. Very comfortable, super cute and interior is great. For the average teenage girl it is a great car, first car. When older new one is a must. because it is a small car. Needs big car for when older and with kids. But overall a great car, gas is not that much so very good on that. I have more fun driving this car than any other car I've driven (or owned). Its handling cannot be matched. I'm thoroughly enjoying the increased power from the twin scroll turbo over my last MINI, a 2005 Cooper base. I do wish I'd spent the extra to get the package with the front park distance system.